1. Stockfish, J.A. The Intellectual Foundations of Systems Analysis; Rand Corp.: Santa Monica, CA, 1987. Publ. No. P 7401. 2. Forrester, J.W. Principles of Systems; MIT Press: Cam bridge, MA, 1968. 3. Spedding, C.R.W. The Biology of Agricultural Systems; Academic Press Inc.: New York, 1975. 4. MacNeil, M.D. ; Harris, D.L. Highly aggregated simula tion models. J. Anim. Sci. 1988, 66 (10), 2517 1523. 5. FAO. Agriculture: Toward 2000; FAO Conference 20th Session, FAO: Rome, 1979. 6. FAO. Agriculture: Toward 2000; FAO: Rome, 1981. 7. Hallam, D. Livestock Development Planning: A Quantita tive Framework. In Centre for Agricultural Strategy Paper 12; Univ. of Reading: UK, 1983. 8. van der Waaij, E.H. Breeding for Trypanotolerance in African Cattle. Doctoral Thesis; Wageningen Institute of Animal Sciences: Wageningen, The Netherlands, 2001. 9. National Research Council. Nutrient Requirements of Beef Cattle, 7th Revised Ed. ; National Academy Press: Washington, DC, 1996. 10. Fox, D.G. ; Barry, M.C. ; Pitt, R.E. ; Roseler, D.K. ; Stone, W.C. Application of the Cornell net carbohydrate and protein model for cattle consuming forages. J. Anim. Sci. 1995, 73 (1), 267 277. 11. Heitschmidt, R.K.; Short, R.E. ; Grings, E.E. Ecosystems, sustainability, and animal agriculture. J. Anim. Sci. 1996, 74 (6), 1395 1405. 12. 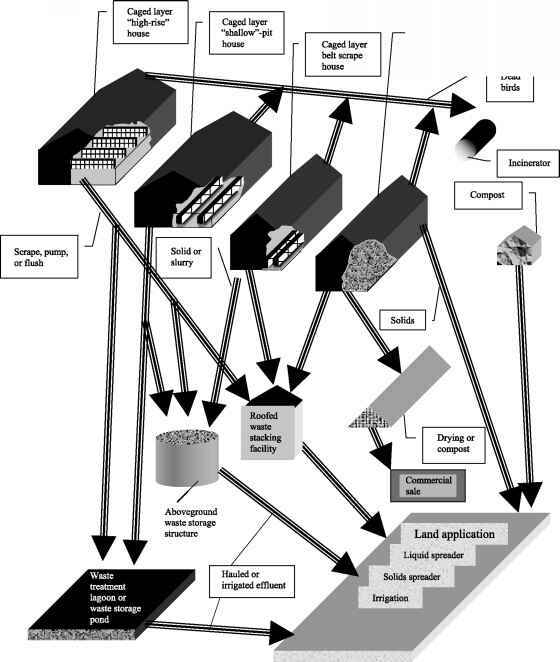 Wright, J.R.; Skiles, W. SPUR: Simulation of Production and Utilization of Rangelands. Documentation and User Guide; USDA ARS, 1987. ARS 63. 13. Minyard, J.A. ; Dinkel, C.A. Crossbreeding Beef Cattle: A Guide for Using Simumate; Coop. Ext. Serv. South Dakota State Univ. : Brookings, SD, 1974. 14. Blackburn, H.D. ; Cartwright, T.C. Description and vali dation of the Texas A&M sheep simulation model. J. Anim. Sci. 1987, 65 (2), 373 386. 15. Sanders, J.O. ; Cartwright, T.C. A general cattle production systems model. 1. Description of the model. Agric. Syst. 1979, 4, 217 227. 16. Barwick, S.A. B OBJECT: A PC Program to Derive Economic Weights for Beef Cattle. In Design of Livestock Breeding Programs; Fewson, D., James, J.W., Nitter, G., Kinghorn, B.P., Barwick, S.A., Graser, H. U., Savicky, J., Eds. ; Animal Genetics and Breeding Unit, The University of New England: Armidale NSW, Australia, 1993. 17. MacNeil, M.D. ; Newman, S.; Enns, R.M. ; Stewart Smith, J. Relative economic values for Canadian beef production using specialized sire and dam lines. Can. J. Anim. Sci. 1994, 74 (2), 411 417. 18. Hardin, B. DECI: Information age tool for the cattle industry. Agricultural Research 1998, 46 (5), 16 19. 19. Donnelly, J.R.; Moore, A.D.; Freer, M. GRAZPLAN: Decision support systems for Australian grazing enter prises. I. Overview of the GRAZPLAN project and a description of the MetAcess and LambAlive DDS. Agric. Sys. 1997, 54 (1), 57 76. Studies show obesity may soon overtake tobacco as the leading cause of death in world. 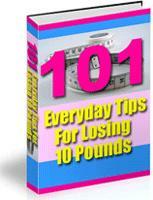 Who Else Could Use 101 'Everyday' Ways to Lose 10 Pounds or more and Keep it Off! You've been putting it off too long. Hey, everyone needs to lose weight from time to time. You're no different!